Vinayaka Chavithi is celebrated on Friday 25th August in 2017. Ganesh Chaturthi is celebrated in the month of Bhadrapada (According to Hindu calendar), starting on the Shukla Paksha Chaturthi. 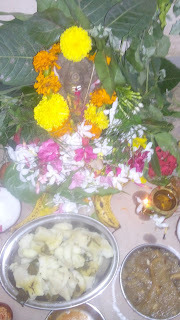 Ganesh Chavithi is the one of the biggest festival celebrated by the Hindu's. Ganesh Chavithi, The great Ganesh festival, also known as Vinayaka Chaturthi or Ganesh Chaturthi is celebrated by Hindus around the world as the birthday of Lord Ganesha. Lord Ganesha occupies a very prominent position in the Hindu Mythology. Before worshiping any God or Goddess, one should seek the blessing of Lord Ganesha. All the new undertakings, whether at place of work or at home, start by reciting the mantra of Lord Ganesha. He is known as the God of good luck and prosperity. Ganesh Chaturthi falls in the Hindu lunar month of Bhadrapada and lasts over a period of ten days. Vinayaka Chavithi is Dedicated to Lord Ganesha the God of wealth, wisdom and learning. Lord Ganesh is amazing for his devotees, who perform his vrat carefully saves from all girdles of life. Lord Ganesh will give all his blessings to the devotees.